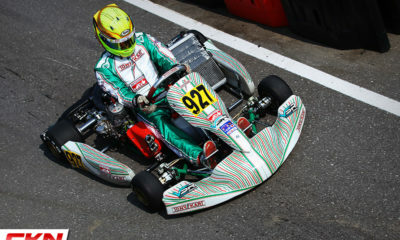 20 Young Karters To Serve as ‘F1 Stars of the Future’ at Montreal GP – CKN | CanadianKartingNews.com | Because Karting is a way of Life! This weekend, the Formula 1 circuit makes its annual stop in our country as the Grand Prix of Canada takes place on the tight and twisty confines of the Circuit Gilles Villeneuve in Montreal, Quebec. 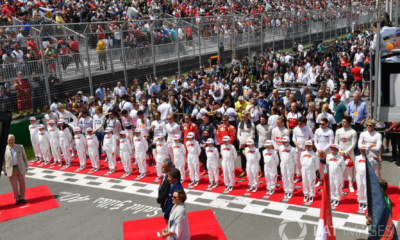 As part of Liberty Media’s new plan to promote motorsports youth, 20 young kart racers from across Canada will suit up alongside their F1 idols as serve as ‘F1 Stars of the Future’ at the Montreal Grand Prix. In association with ASN Canada FIA, Liberty Media and Octane Racing Group, drivers from across the country applied to be a part of once in a lifetime experience and today, the list of 20 young racers has been confirmed. 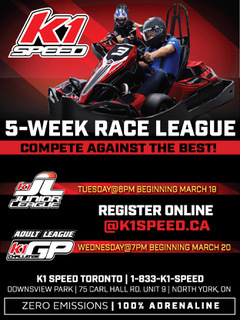 From British Columbia all the way to Nova Scotia, 8 different provinces have representation at the Grand Prix, along with ten different karting clubs. The host province, Quebec will have five drivers, while Ontario has the most with eight including a pair of siblings. 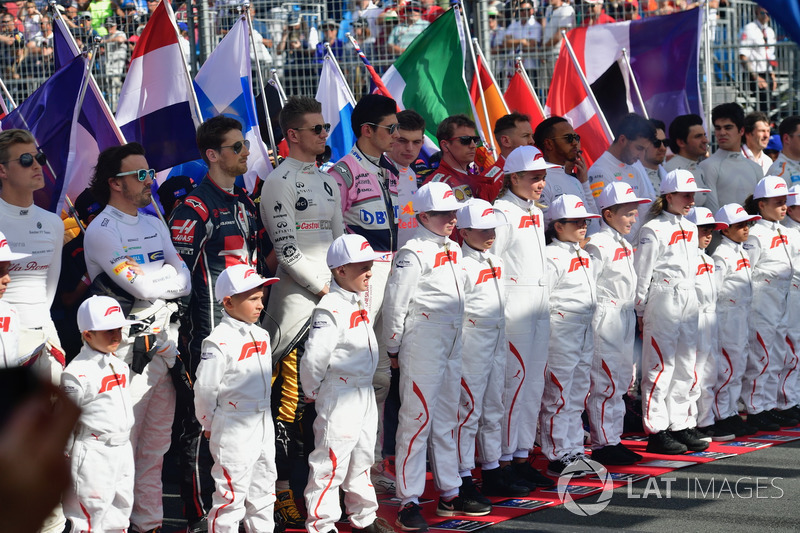 These young drivers will stand in front of their Formula 1 idols during the national anthem immediately before the start of the Grand Prix and be broadcast on television networks around the globe. We caught up with Paul Cooke of ASN Canada FIA to get his thoughts on the selection process and his feelings towards the karting representation on the global Formula 1 platform. The list includes a pair of Canadian Champions, in the likes of Justin Arseneau, who was crowned the Mini-Max National Champion in 2017, and Callum Baxter, who took the top honour in Briggs & Stratton Cadet. Arseneau explained to us how excited he is to stand with the Formula 1 stars and use it as encouragement to continue pushing towards his dream of being a Formula 1 driver one day. As a driver from the Montreal area, Arseneau will be busy with some media duties, including being part of the morning weather report on Global News Montreal this Friday. 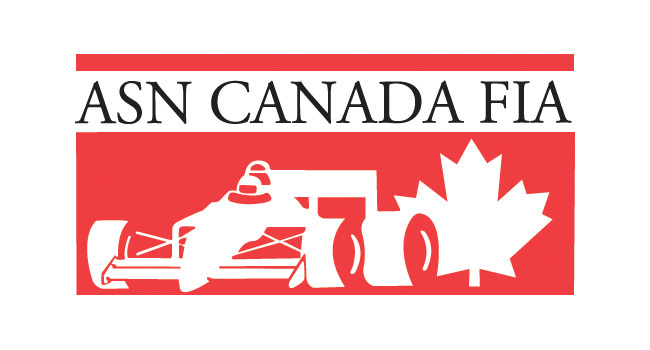 The Formula 1 Grand Prix of Canada will broadcast at 2:00 PM Eastern on Sunday, June 10 and will feature one Canadian on the grid, Lance Stroll, who races for Williams. Canadian Nicholas Latifi is also scheduled to take part in the event, driving the Force India car in Fridays Free Practice 1. Both got their motorsports start in Canadian karting.